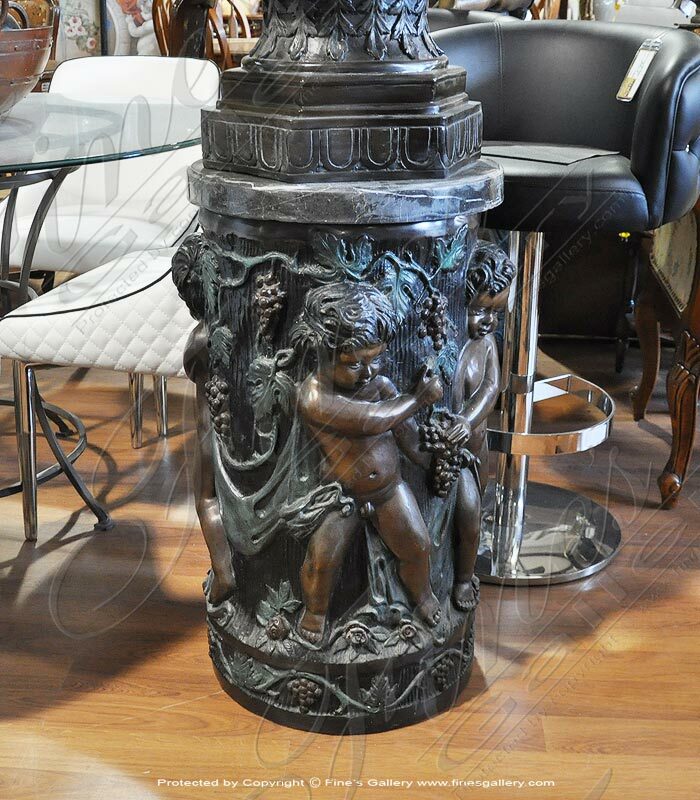 Ornately decorated bronze base of chubby-cheeked cherubs dance and play among the grapes and foliage of the vineyard. Contact the gallery for personal sales assistance. Yes I would like more information on BB-115.